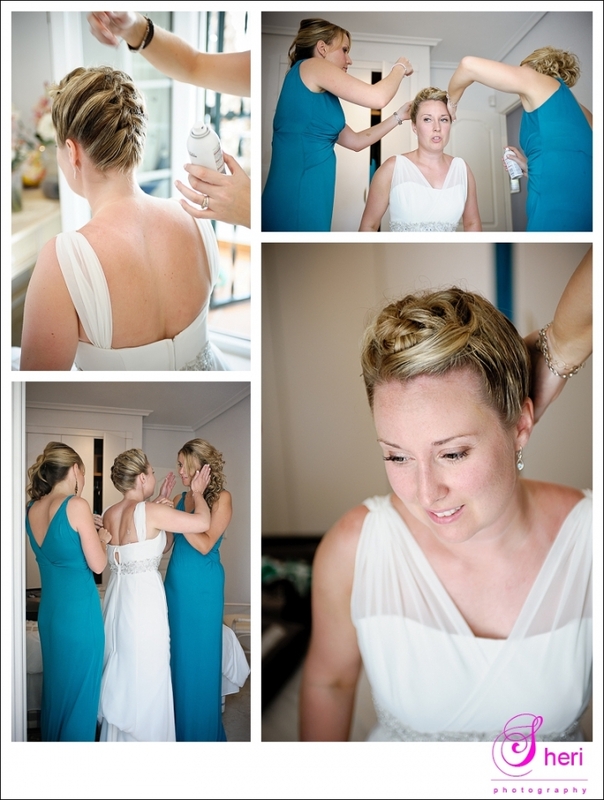 Lovely Louise was getting ready at her parents house with her bridesmaids, she had a really funky hairstyle and a beautiful dress on. The ceremony was held in La Zenia church. After the ceremony we decided to go and take some photos of Louise and Rhys and their Bridesmaids and groomsmen it was ever so sunny and hot but I think they pulled it off! At our second location people were having a pick.nick and I think one of those people was a dj as he had massive boxes, so of course he was asked to turn up the volume so the bridal party could show their cool dance moves! The reception was held at ‘La finca Country club’, the setting looked amazing and everybody had a brilliant time. The cake and cupcakes where made by Denise from ‘My piece of cake’and looked brill as always! Have a look at the pics hope you like them! Louise and Rhys, I wish you all the best for the future speak soon.